stop lying to yourself Decay, you're super gay for Syx. I'm all over the place with Decay and Syx's relationship for these pride month prompts. 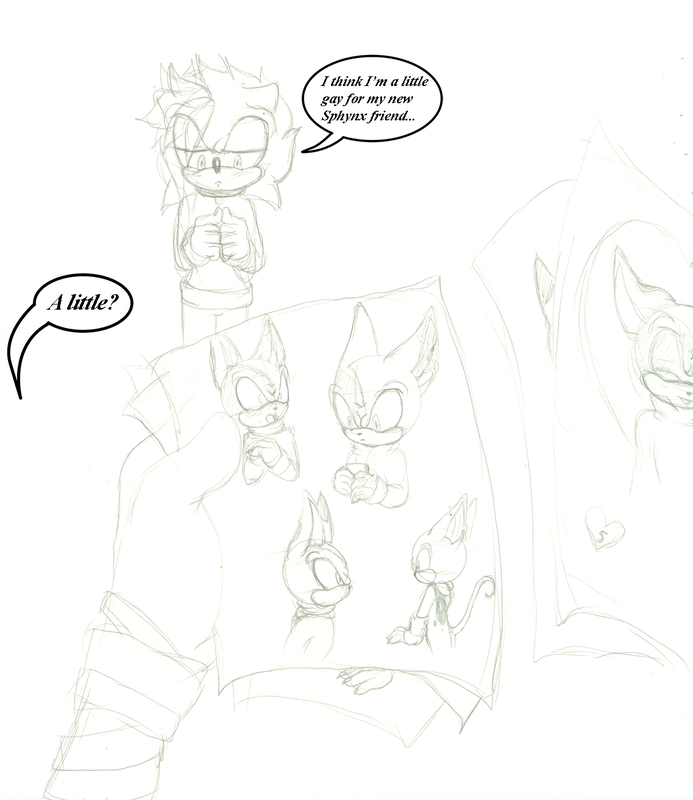 this idea is that when Decay likes someone he will draw them a few times, but he soon realizes that he may like Syx more than a friend when he fills many pages of drawings of the Sphynx, especially when he starts drawing hearts on his sketches. also the fact that Decay keeps wearing the sweater Syx made for him everyday while making sure to wash it every few days. he would confess his feelings for Syx to Valen as he looks at the sketches. probably telling Valen because he never felt so strongly for anyone and wants some advice from his friend since he knows that Dark isn't good with advices and he would no doubt squee over the situation. I want to go back and do the other prompts I missed though I might skip proposal and wedding since I already did the proposal for v-day and plan to do wedding soon and I don't really understand what mutual support means.